Dennis Deas is a Managing Director for Kaiser Permanente’s Care Management Institute, Health Systems Performance (HSP) Team, responsible for leading Performance Improvement implementation and Human Centered Design in Care Delivery. He has over 25 years of diversified experience in performance, process improvement and business transformation. Dennis has been with KP for 15 years and in his national role for 6 years. 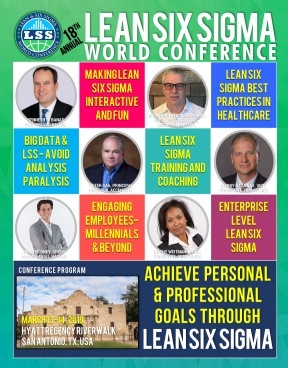 Prior to joining the national team, he was the Director of the KP Colorado Integrated Lean Six Sigma Team to include physicians, health plan team members, and labor team members, the team completed over 80 Lean Six Sigma projects; he also led the Strategic Management Consulting (SMC) Primary Care & Specialty Care Teams. He has worked as a Senior Manager, Principal, and Director for several large external consulting firms including Cap Gemini, Ernst & Young, Gemini Consulting, and Accenture. Dennis served in the US Air Force as a Management Engineer for 20 years specializing in A-76 Cost Comparison studies and Lean application for the Health Care and Budget fields. He completed the USAF Management Engineering Academy. He has a MBA in Business Administration and currently working on a Doctorate of Business Administration, Master Black Belt in Lean Six Sigma, and is Accelerated Implementation Methodology (AIM) certified.